Chili Chicken Burger Bowls are everything you love about burgers but served as a bowl. 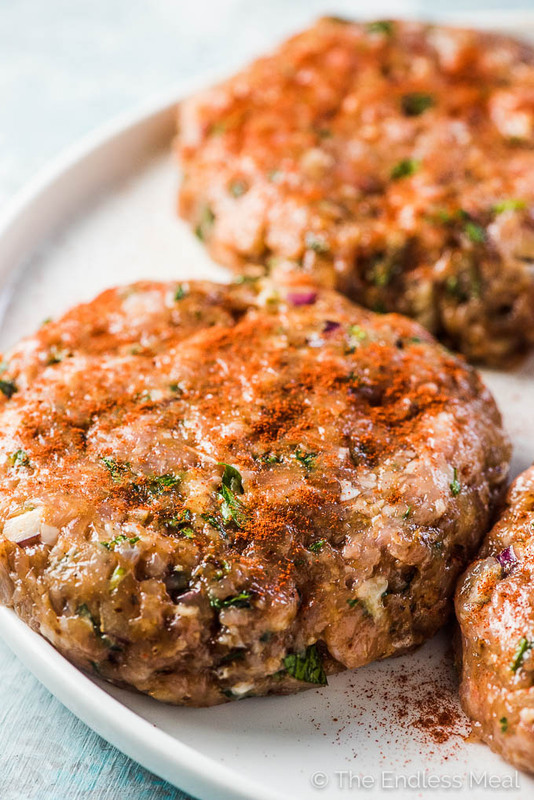 The chicken burger patties are super easy to make and so flavorful. 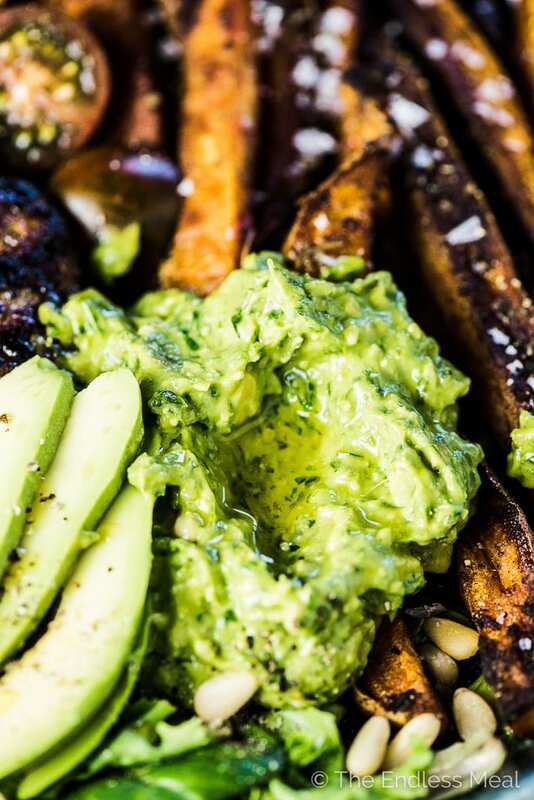 They are grilled or cooked in a pan then served on a bed of lettuce with sweet potato fries and some delicious avocado pesto. You will LOVE them! Raise your hand if you like bunless burgers are much as I do! I've always felt like a bit of a weirdo when I tell people I prefer to eat burgers without the bun. I assume most servers roll their eyes at me behind my back and assume I'm trying to cut carbs. But it's not true! Hamburger buns are helpful for keeping all the burger ingredients together, but they also ‘water down' the burger and get in the way of all the good stuff. Do you feel the same? These Chili Chicken Burger Bowls are all the good things. There's no need to water them down with a silly bun. 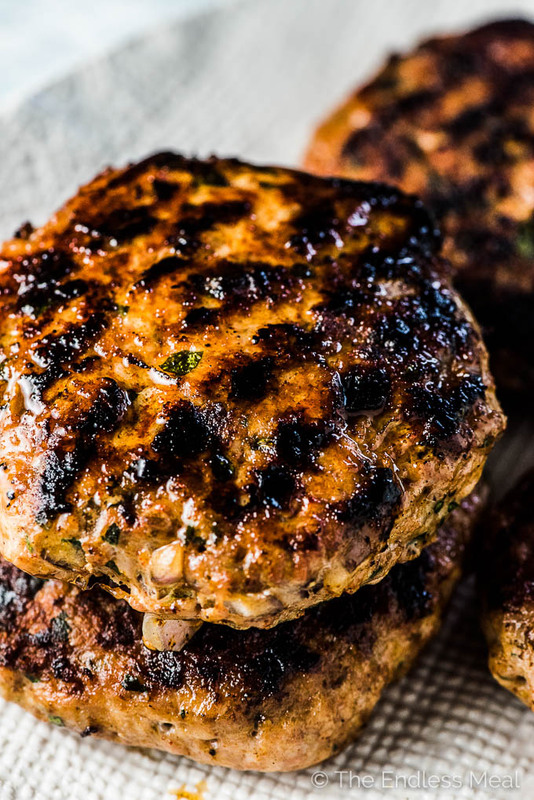 These chicken burgers are so flavorful that you might just mistake them for a meat burger. I'm not joking. The first time I made them we were blown away by how flavorful they are. They're super easy to make. If you can mix together some ground chicken, onion, parsley, chili powder, salt, and pepper then you can make these. You can cook the chili chicken burgers on your BBQ or in a pan on your stovetop. Your choice! If you are like me and love a good bunless chicken burger, make the recipe as it is. If there's someone at the table who loves a traditional burger (like my handsome man), buy them a bun for their chili chicken burger. 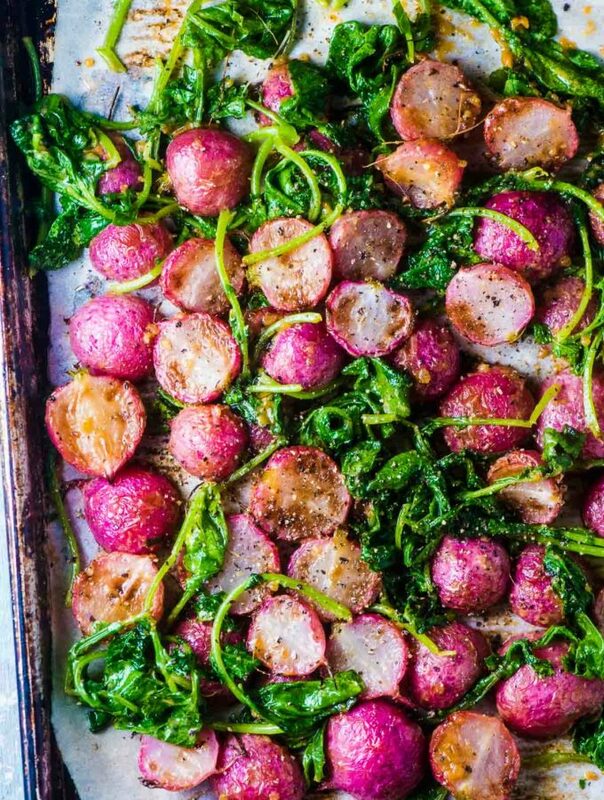 This is a recipe that can keep everyone happy really easily. I know that raw chicken isn't usually something you want to look very closely at, but I thought these burgers looked good even before they were cooked. What do you think? Of course, they look even better one the come off the grill. Burgers aren't difficult to make but making a really good burger isn't as easy as it sounds. The problem is that almost all the recipes you find online call for mixing all sorts of unnecessary things into the ground meat. The two that irk me the most are eggs and breadcrumbs. I know that those two things have been mixed into burgers for as long as burgers have been around. But I'm begging you, please stop putting them in! They're totally unnecessary and only make the burgers tough. I've been toying with sharing my beef burger recipe with you, but it's so simple that it doesn't seem right to share it. Ground beef (always regular, NEVER lean) + salt + pepper. They're the best burgers ever. So trick #1 is to never ever ever add eggs or breadcrumbs to your burgers. Trick #2 – Use a gentle hand when you're forming the patties. Don't try to muscle them together. Just gently form the patties and let your BBQ do the job of getting them to hold together. When meat cooks, the proteins bind together. 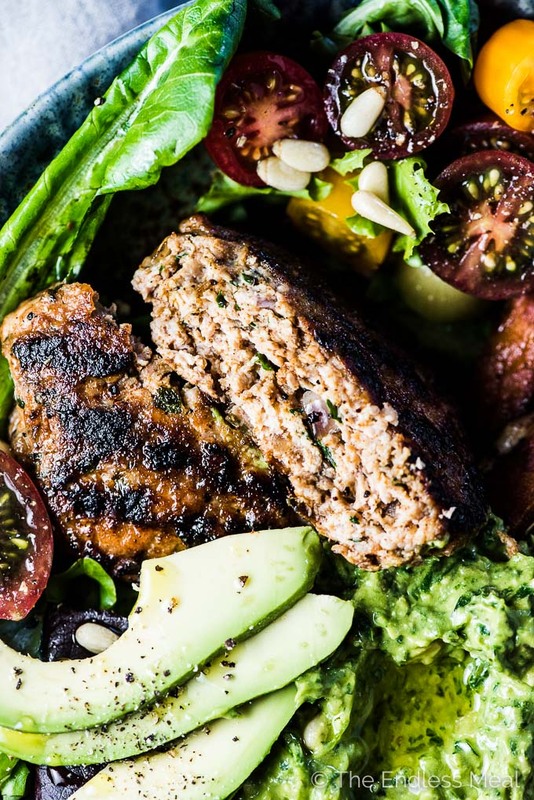 This is why you don't need eggs or breadcrumbs to hold burger patties together. When they are not cooked, they feel very delicate. Once you cook the meat, the proteins bind the patties together. Trick #3 – Don't overcook your burgers. You want your chicken burgers to be 165 degrees Fahrenheit and no more. 165 is the sweet spot for fully cooked and safe to eat chicken that is still tender and juicy. We're always so afraid of undercooked chicken that we tend to go WAY overboard and cook it until it's barely edible. I always use a meat thermometer so that I know the burgers are both safe to eat and not overcooked. ♡ With all the Cajun Sweet Potato Fries. I love these easy to make fries and it's a bonus that they're so healthy. If you want to add them to your chili chicken burger bowls, pop them into the oven first then start making the burgers. ♡ With a big bed of lettuce. I don't get fancy here and make a big salad. All I do is put a few handfuls of salad greens in the bottom of the bowl. 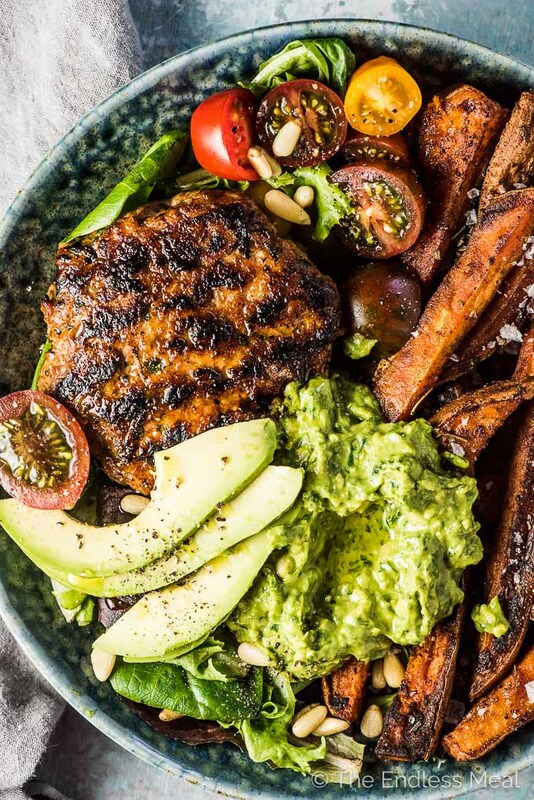 When you top them with the chili chicken burger, avocado pesto, and some sweet potato fries, the heat and oil from those three things are enough to soften the greens just enough to make them very salad-like. ♡ With a sprinkling of cherry tomatoes, pine nuts, and avocado. Technically these extra toppings aren't necessary but they do add even more textures and flavors to an already delicious bowl. If you have them on hand, go for it! If you are making the Cajun Sweet Potato Fries, start those first. In a medium-sized bowl, mix together the ground chicken, red onion, parsley, chili powder, salt, and pepper. Form into 4 patties and set them on a plate. Place the basil, parsley, pine nuts, olive oil, lemon juice, and sea salt in your blender and blend on medium speed until mostly smooth. Add the avocado and blend again, adding 2-4 tablespoons of water to thin the pesto if needed. Cook the chicken burgers either on your BBQ or in a non-stick pan on your stove on medium-high heat for 12 minutes, flipping halfway through cooking. 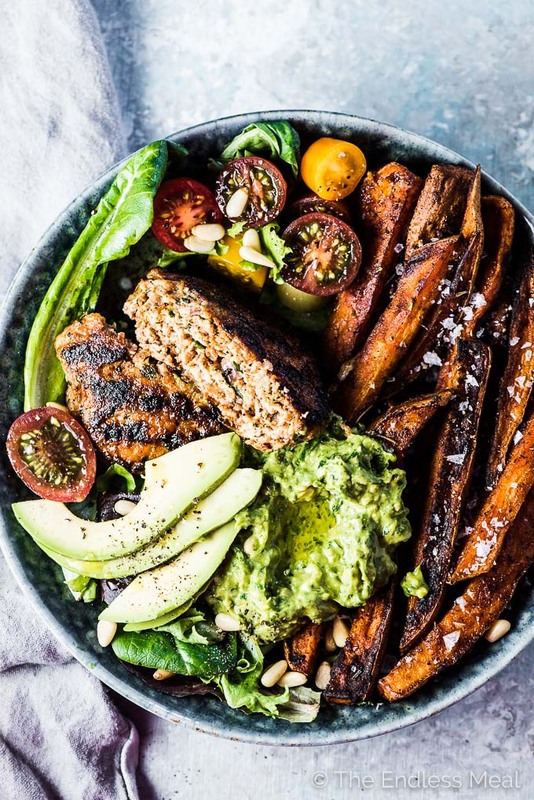 To assemble the bowls, place a few handfuls of greens in each bowl and top with the fries, a burger patty, some avocado pesto, and some cherry tomatoes and pine nuts. 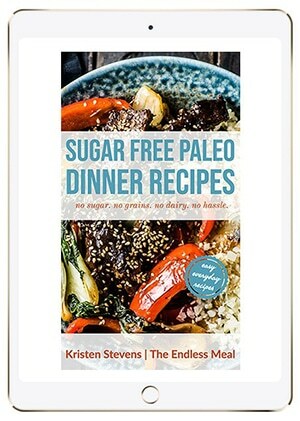 I've put this recipe in the keto category even though the sweet potato fries are not. If you are eating a keto diet you'll need to skip the fries! 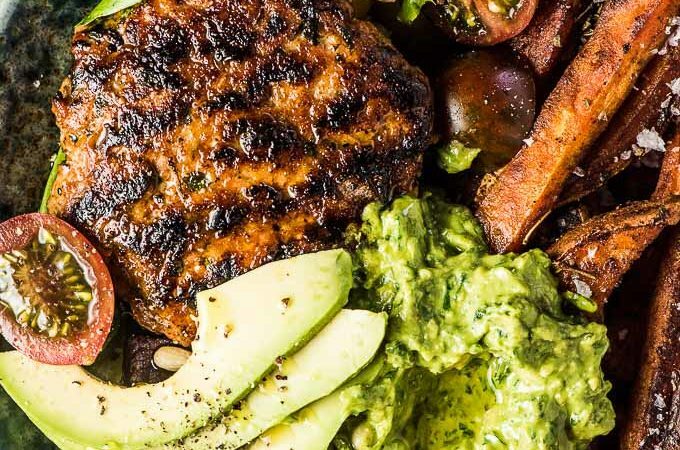 Does the nutrition facts represent just the burger or the whole bowl fries, avocado pesto and all? Thanks, looks great. I have some ground turkey at home,do you think that will be as good? Made this tonight and it is SUPER yummy! We did the burgers on the stove top since it’s 22 degrees outside. Any suggestions for leftover avocado pesto? 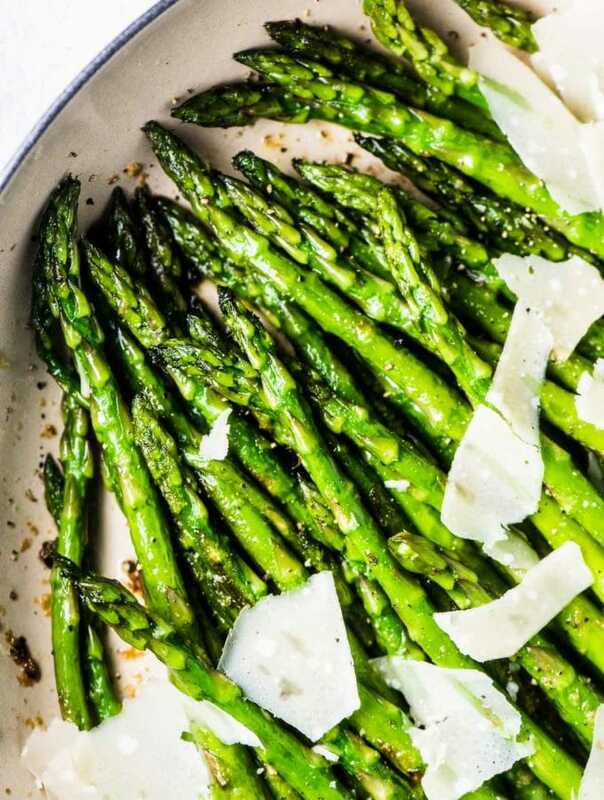 I want to use it all and would love to create an appetizer for dinner tomorrow! How about as a dip for some fries? Or to dollop on some salmon or chicken breasts. Or as a dip with some veggies? I noticed the picture of the uncooked chicken burgers shows something (maybe chili powder) sprinkled on top but the recipe doesn’t say anything about it. Do you sprinkle chili powder on before grilling? It’s by far the BEST recipe I’ve ever found on Pinterest!! Very FLAVORFUL. I added some of the pesto to the burger with the onion…OUTSTANDING!! I just love it! That is so great to hear! Hooray!! These burger bowls are awesome! So healthy but didn’t feel like I was ripping myself off. Thank you for the recipe! I made these last night and they were amazing. I never knew chicken burgers could taste good if they weren’t fried. Will be making them again and again. I felt the same way before I had these! Now they’re my favorites!